It’s the end of August, and that means only one thing, well 2 things actually, one is my holiday is coming to an end…. Booooo! 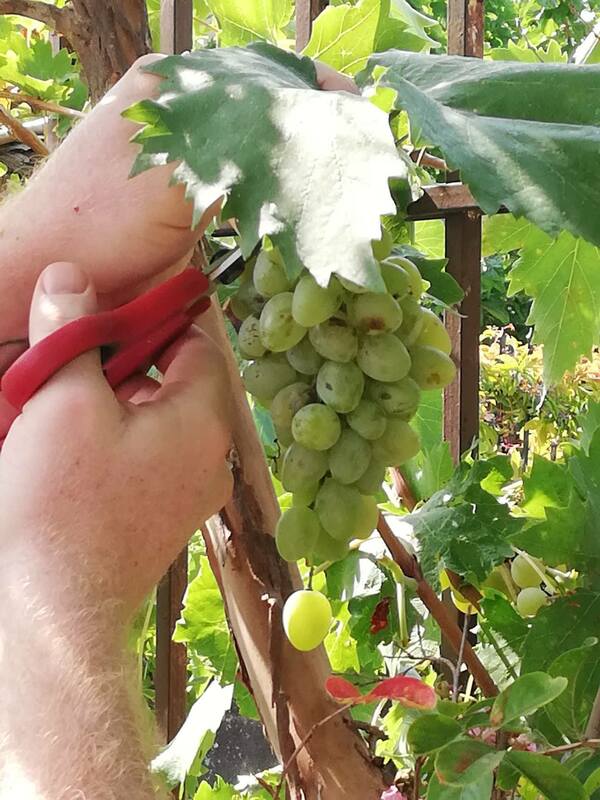 The other is the grapes in the GCH garden are ready! This year, for the first time ever we’ve decided to try our hand at making some wine, hopefully for you all to taste in the 2019 season. 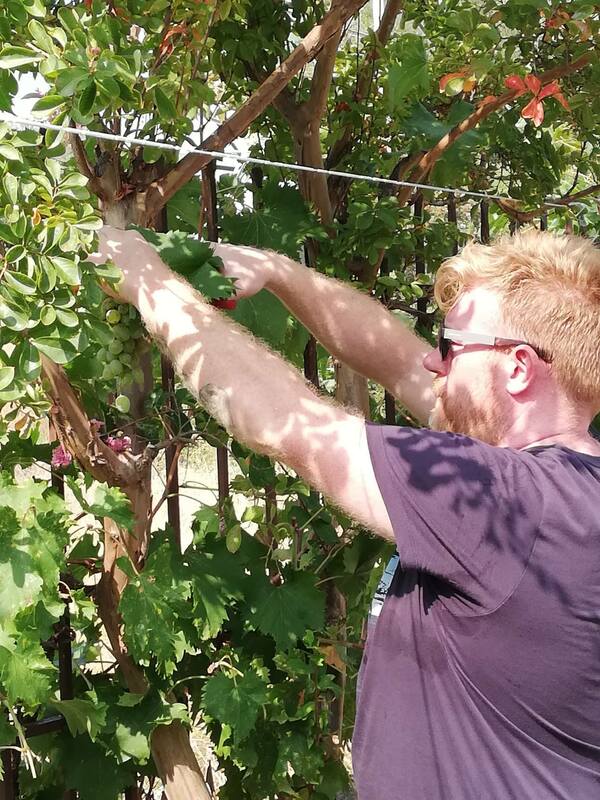 ok, so we’ve got the grapes.. now what ? It suddenly dawned on us that we’ve no idea what we are doing; I think a trip to the local wine shop is in order. After some friendly advice and with a 60 lt barrel , some wine yeast and a couple of mesh bags for pressing the grapes I head home for the fun stuff, stomping the grapes !! 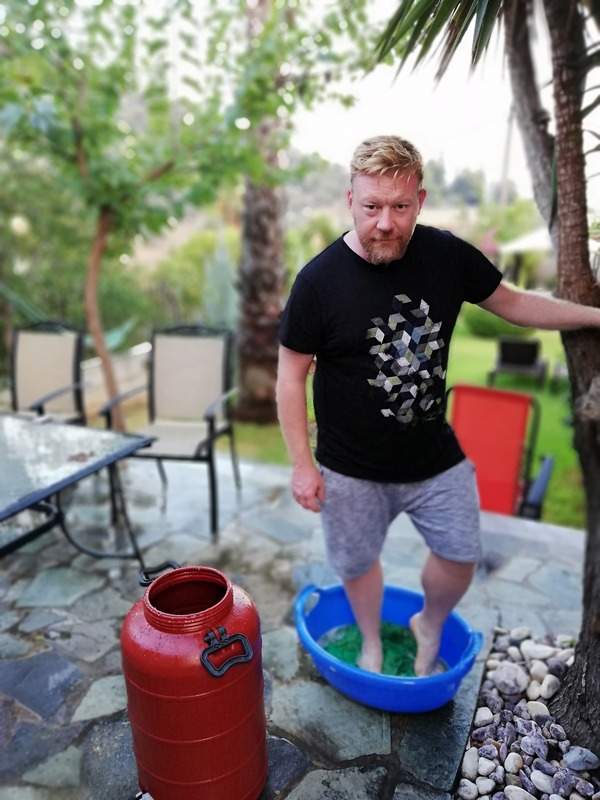 I washed the grapes carefully, (and my feet of course! ) filled the bags and started stomping. Imaging standing on a load of bubble wrap and feeling the popping under foot, well that’s what the few satisfactory steps were like until they burst releasing all the juice, or must as it is known in the trade. 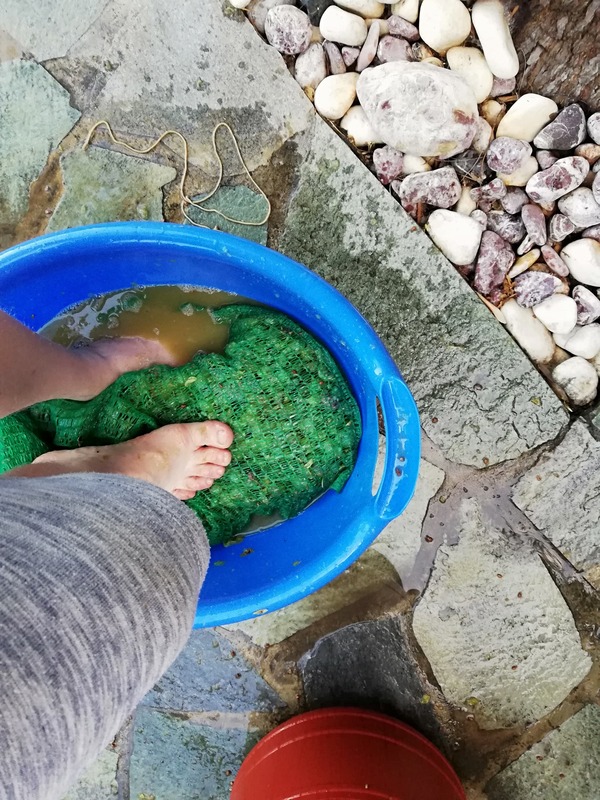 After an hour of stomping, squeezing and pouring, we were left with an almighty mess, a few black bags filled with the pulp (pomace, which is traditionally used to make Raki here in Greece, maybe we’ll try that next year !! ) 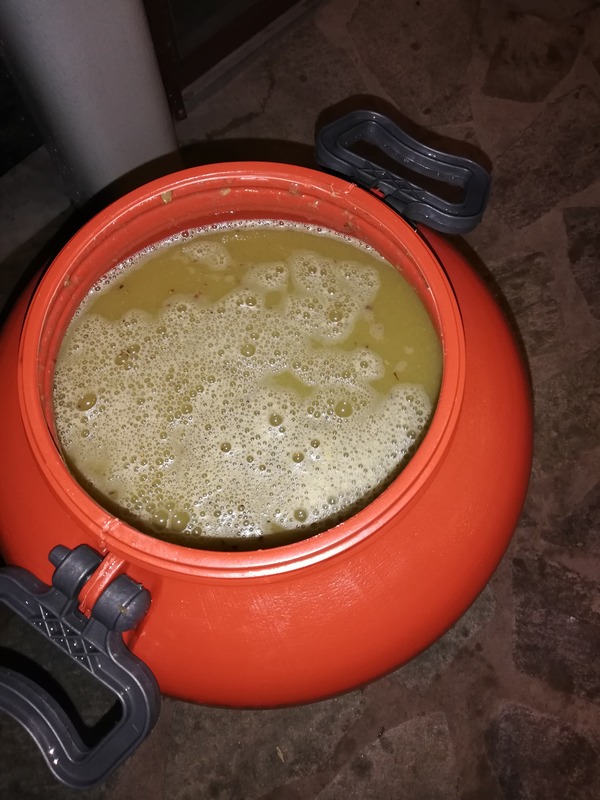 and most importantly an almost full 60 lt barrel of some murky looking grape must, ready for fermentation, which apparently takes roughly 25 days. After that the barrel gets sealed and left to mature for a few months then we will find out if it’s actually drinkable wine or not !!! Keep an eye out for updates on how the wine is coming along or book a holiday and try some for yourself! 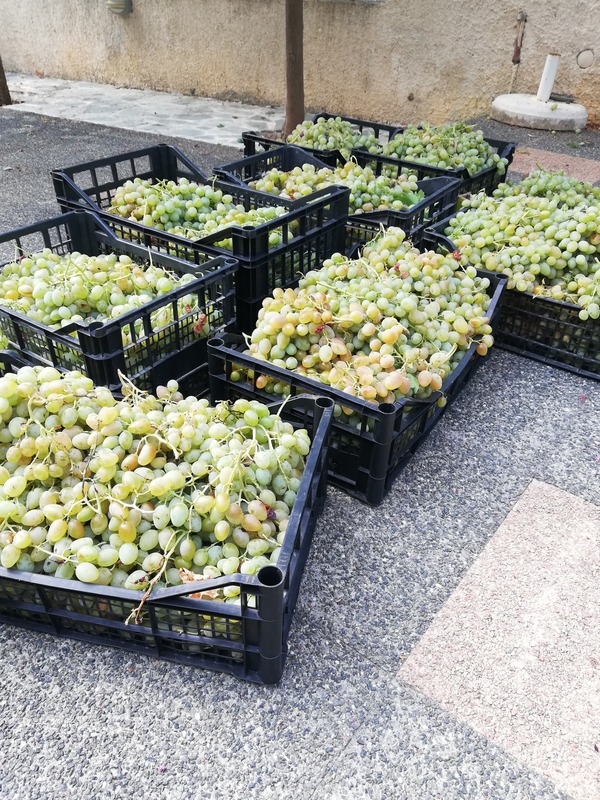 Ones thing’s for sure, drinkable or not you will still be able to taste the stunning wine from our friends at Lykos Winery, although I’m not sure they stomp their grapes with their feet!!! 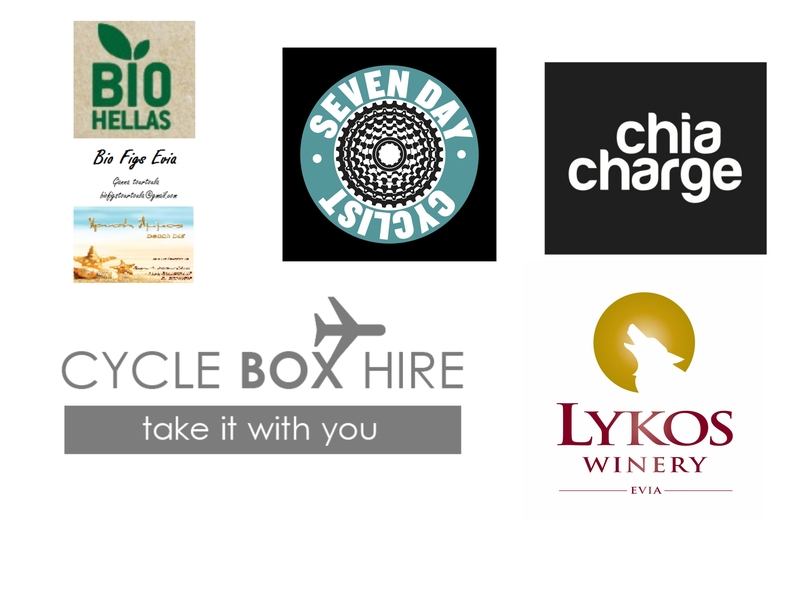 I think its safe to say we know more about providing great cycling holidays than we do about about the art of wine, other than drinking it of course!